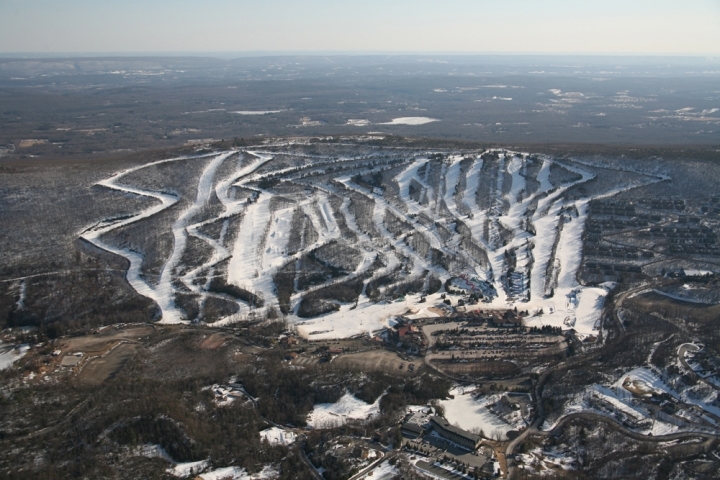 First choice for families in the Pocono Mountains, features great snow, fast lifts, and legendary service. Learn to ski or Snowboard with the Explorer Card Program; they will have you skiing or snowboarding in no time. This three lesson program, which includes three lift tickets and three all day rentals is a great way to learn to ski or ride. For more information visit skicamelback.com. Camelback features 34 trails, 15 lifts including two high-speed quads, 100% snow making, 100% night skiing, two terrain parks, and The Biggest Snowtubing Park in the USA with up to 42 -chutes for family, double and single tubes.